It is an honor to be sworn in once again as your senator for District 26. All five of Dan's grandchildren: Tyler, 13; Abigail, 6; Jenevieve, 4; Willie, 1; and Brooklyn, 1. There is a power to presence and a commitment to completion that just cannot be substituted for if you want to be successful. I've found this to be true in my lifetime of taking care of livestock and crops, and I've found the same to be true during my eight years as a state legislator. 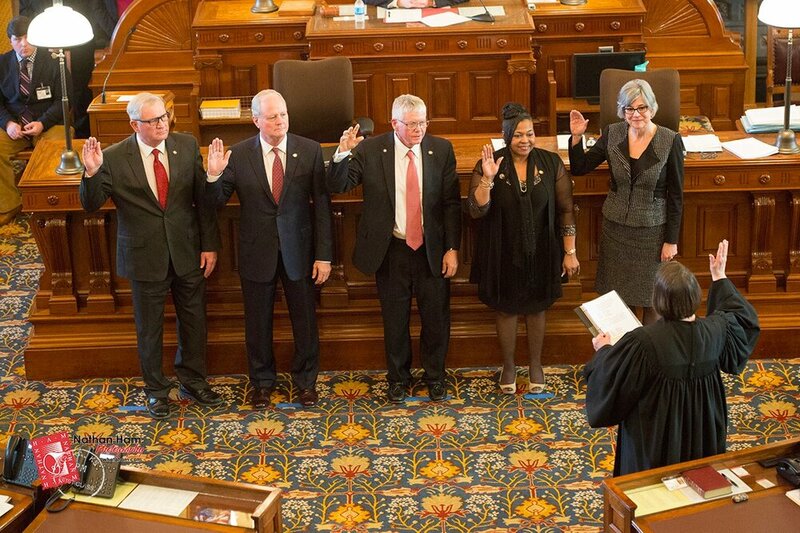 I am dedicated and honored to serve my constituents of the 26th district and the great people of the state of Kansas.